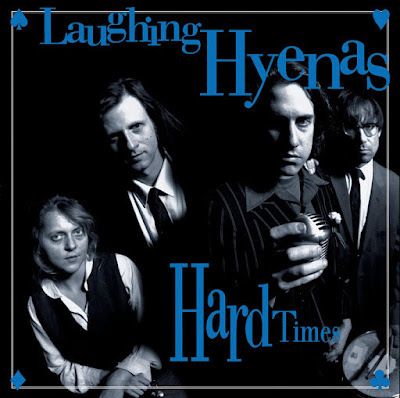 Earlier this year Third Man Records and Touch And Go announced they were teaming up to reissue the legendary Detroit band Laughing Hyenas backcatalog. So far the reissues for Merry-Go-Round and You Can't Pray A Lie have been released. Now the second installment of the discography has been announced: Life Of Crime, the double LP Hard Times/Crawl, and a bootleg covers 7" will be released on December 7th. For more info on the reissues and to order head to Third Man Records. Meanwhile, in celebration of the latest set of reissues, Third Man/Touch And Go are throwing a release party at Marble Bar in Detroit on Saturday, December 15th. Along with door prizes and a slide show, exclusive versions of the records will be available to purchase. An excellent and fascinating oral history on Detroit's punk scene including commentary from John Brannon of Laughing Hyenas is available to read here.